Rihanna, Good Girl Gone Bad / "Umbrella"
The song won ASCAP's Pop Music Award which honored "Umbrella" as one of the most performed pop songs of the year 2007, and was also nominated at the Teen Choice Awards for Choice Music: Single. Time magazine named "Umbrella" one of The 10 Best Songs of 2007, ranking it at No. 3. Writer for Time magazine, Josh Tyrandiel, cited Rihanna's vocal performance and special talent for vocal innuendo as the reason he declared it "The Sexiest Song of 2007." Umbrella was set at No. 2 at the Billboard Hot 100 year-end chart, behind Beyoncé's "Irreplaceable". Mary J. Blige, Growing Pains / "Just Fine"
The single "Just Fine" off of Mary J. Blige's Growing Pains was released in the U.S. on October 19, 2007. Harrell produced Blige's vocals on the track, which earned him a Grammy nomination for "Best female R&B Vocal Performance". Harrell produced the majority of the vocals on the album, and co-wrote the song "Come To Me (Peace)". The Dream, Love Hate / "I Luv Your Girl"
Mariah Carey, E=MC2 / "Touch My Body"
E=MC² debuted at number one on the Billboard 200 with 463,000 copies sold, making it the biggest opening week sales of her career. In its second week, the album topped the chart again with 182,000 copies sold. E=MC² is Carey's first album to spend two straight weeks at No. 1 since 1995's Daydream. The album topped the Billboard's Top R&B/Hip-Hop Albums Chart. The album sold 1,181,000 million copies in the U.S. and was certified Platinum by the RIAA on July 8, 2008. Jesse McCartney, Departure / "Leavin'"
Beyoncé, I am... Sasha Fierce / "Single Ladies (Put A Ring On It)"
Alesha Dixon, The Alesha Show / "Let's Get Excited"
↑ Caramanica, Jon (June 29, 2012). "Pitched to Perfection: Pop Star's Silent Partner". New York Times. Retrieved June 29, 2012. ↑ Cohen, Jonathan (2007-05-31). "Rihanna, Shop Boyz Rocket To The Top Of Hot 100". Billboard. Nielsen Business Media, Inc. Retrieved 2008-11-08. ↑ "Teen Choice Awards: The Full List O' Nominees". Portable Planet. 2007-07-05. Retrieved 2008-11-27. ↑ Sexton, Paul (2007-05-21). "Rihanna, Linkin Park Take Control Of U.K. Charts". Billboard. Nielsen Business Media, Inc. Retrieved 2008-11-11. ↑ "Jay-Z protege makes chart history at Radio 1's Big Weekend". NME. 2007-05-20. Retrieved 2008-11-13. ↑ Sexton, Paul (2007-06-11). "Rihanna Owns U.K. Singles, Album Charts". Billboard. Nielsen Business Media, Inc. Retrieved 2008-11-08. ↑ Sexton, Paul (2007-07-23). "Rihanna Makes It 10 Weeks Atop U.K. Singles Chart". Billboard. Nielsen Business Media, Inc. Retrieved 2008-11-08. ↑ "Rihanna achieves chart landmark". BBC News. 2007-07-23. Retrieved 2008-11-27. ↑ "Top 75 singles of 2007". Music Week. 2007. ↑ "Certified Awards". British Phonographic Industry. Retrieved 2008-11-08. ↑ Kaufman, Gil (2007-09-10). "Britney Spears Kicks Off Show, But VMA Night Belongs To Rihanna And Justin Timberlake". MTV. Retrieved 2008-11-09. ↑ 54th Annual GRAMMY Awards Nominees And Winners. GRAMMY.com. Retrieved on 2012-04-23. ↑ Robert Christgau, David Fricke, Christian Hoard, Rob Sheffield (December 17, 2007). "The Top 50 Albums of 2007" Rolling Stone. Accessed January 17, 2008. ↑ IFPI 2007 Albums Chart. (PDF) . Retrieved on 2012-04-23. ↑ "Billboard Charts". Billboard Magazine. 2008. ↑ "Bubbling Under Hot R&B/Hip-Hop Songs – I Luv Your Girl". Billboard Hot R&B/Hip-Hop Songs. Retrieved 2008-03-27. ↑ "Billboard Pop 100". Billboard Magazine. 2008. ↑ Slipknot Edges The Game Atop Billboard 200. Billboard.com. Retrieved on 2012-04-23. ↑ Harris, Chris. (2008-09-03) Slipknot Beat The Game With First Billboard-Topping Debut, Contrary To Early Report – Music, Celebrity, Artist News. MTV. Retrieved on 2012-04-23. ↑ Awards. Mariah Carey. Retrieved on 2012-04-23. ↑ Grein, Paul. "Week Ending April 27, 2008: What's So Funny About A No. 3 Debut?". Yahoo! Music'. May 1, 2008. Retrieved May 1, 2008. ↑ Archived June 25, 2013, at the Wayback Machine. ↑ "Ask Billboard". Billboard. October 17, 2008. Retrieved December 6, 2008. ↑ Artist Chart History: Jesse McCartney. Billboard.com. Retrieved June 24, 2008. 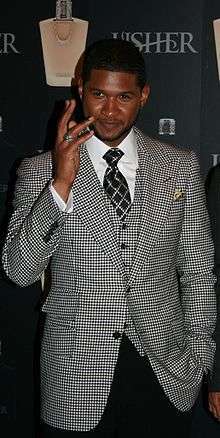 ↑ "Jay-Z Jumps On Upbeat Mariah Carey Remix, Mature Usher Song For Jermaine Dupri", Shaheem Reid, MTV News, April 18, 2008. ↑ Donnelly, Matt; Rosenbaum, Claudia (2008-08-06). "Usher Back in Mommy's Arms After Dumping Manager Medina". E! Online. Retrieved 2008-10-27. ↑ Top 40/Rhythmic-Crossover Future Releases. Allaccess.com (2012-03-20). Retrieved on 2012-04-23. ↑ Cohen, Jonathan (2008-09-09). "New Beyonce Album Arriving In November". Billboard. Nielsen Business Media, Inc. Retrieved 2008-09-09. ↑ Vineyard, Jennifer (2008-10-08). "Beyonce Releases Two Tracks From I Am… , Inspired By Jay-Z And Etta James". MTV. Retrieved 2008-10-08. ↑ Lil Wayne Notches Top-Selling Album Of '08. Billboard.com (2009-09-14). Retrieved on 2012-04-23. ↑ "Singles of the Year". Rolling Stone. 2008-12-13. Retrieved 2008-12-15. ↑ Cohen, Jonathan (2008-12-24). "Taylor Swift Trumps Big Debuts To Stay No. 1". Billboard. Nielsen Business Media. Retrieved 2008-12-24. ↑ Hello!Magazine Interview. Hellomagazine.ca (2008-09-22). Retrieved on 2012-04-23. ↑ Dayman, Rachel (2010-02-25). "Exclusive: Third Album Details". AleshaDixon.net. Retrieved 2010-05-14. ↑ "SIGNS - Claudia Leitte" (PDF). Claudia Leitte. February 4, 2012. ↑ Caramanica, Jon (June 29, 2012). "Silent Partner to Big Voices: Kuk Harrell, Bieber's Vocal Producer". The New York Times.